Linda Berving grew up in the small town of Skutskär, Sweden with a wide variety of musical influences as her father was a musician who played everything from opera to jazz and classical music and her mother enjoyed the jazz and swing era such as Ella Fitzgerald and Glen Miller. Linda became used to going with her father on tours and rehearsals and started to play the violin at the early age of five. As a teenager she joined a band mainly focused on grunge and pop and that is when she started her own songwriting. 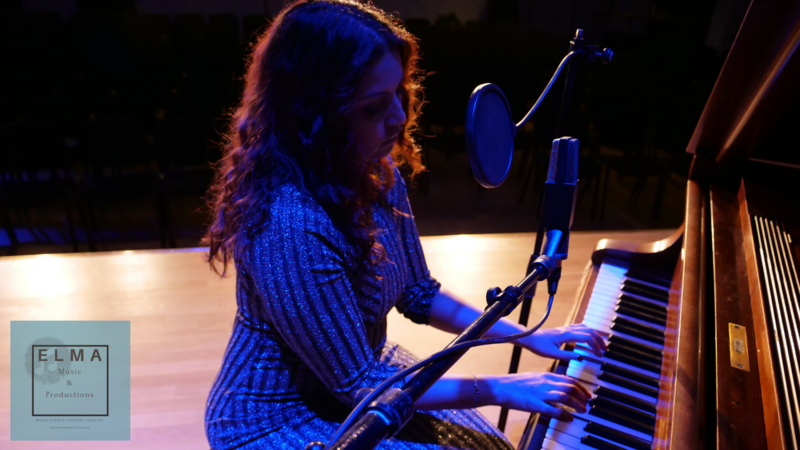 By mid-20's she wanted more out of music and moved to Gothenburg to study jazz before moving to London to continue a BA degree in opera performance and musicology. Before Linda moved back to Sweden again she joined the ensemble with her singing in the magnificent cirque show "FOUR" (2007) at Casino Estoril in Portugal. Back in Sweden she furthered her studies at Stockholm Opera Studio and started up the duo JL Jazz with Johan Hägglund during the same period. The duo mainly played the typical 40/50's style that she grew up with but also a mix of pop/jazz like Norah Jones and Adele. In 2010 JL Jazz premiered at the famous BERNS salonger in Stockholm and after this the duo performed regularly at Clarion Hotel amongst others. The album "Palladium" was released in 2014. By then the duo had grown into Linda Berving Quartet (LBQ). Linda Berving Quartet Show was written by Linda herself as an alternative story to the first cinema in her hometown in the early 30´s which was owned by her grandfather and siblings. After finishing the opera studies, Linda and two of her soprano colleagues created the opera show När brott går som på räls. Once again Linda flirts with opera in 2015 when she takes on the role as a nun and understudy for Mother Abbess in The Sound of Music with Lyriska sällskapet Gävleborg, and Anna-Lotta Larsson as Maria. In the past Linda had some issues with the abdominal muscles and now surgery was needed and Linda was ordered to slow down the singing. During this time songs from the coming album By design began to take shape and in 2016 she signs with Daniel Lantz and the Swedish record label DO music records. By design is to be released in September 2017. The music is a mix between pop, jazz, electronica with a hint of folk and classical. The songs are mainly written and arranged by Linda herself appart from Stilla and Dream which she co wrote with Johan Hägglund. The album reflects the artist's musical influences over the years but the lyrics, harmonies and rhythms connects on a much deeper level. It´s the beginning of getting to know the real Linda Berving.